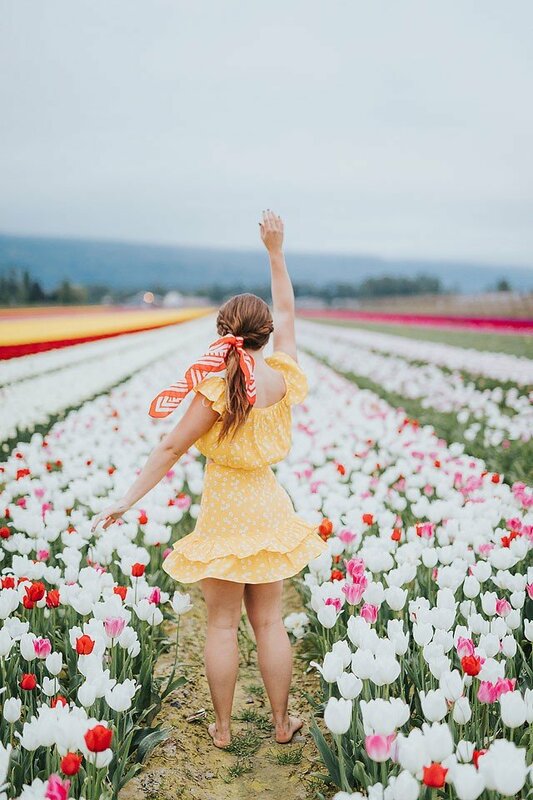 You all know I love to visit the tulip festival and this year was extra special because I went to two! Spring came late this year but when it came it was brilliant. The colours in the fields this year seemed extra special…I guess a long winter can do that to you! 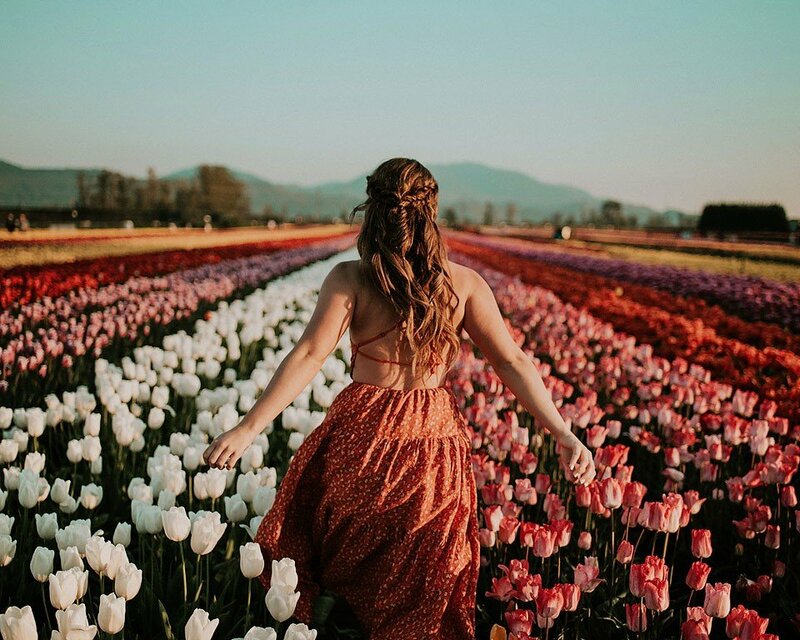 If you are a tulip festival fan you need to come to the Fraser Valley and take them in. They are located about an hour outside of Vancouver, BC. 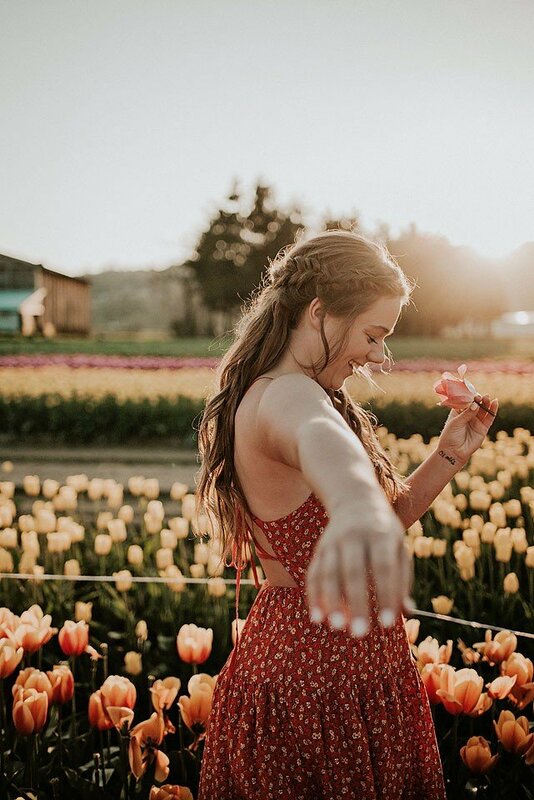 One day you will look back and see that all along you were blooming. She is a great poet and if you are not familiar with her you will have to check her out. These first photos were taken by the lovely Dylaina Gollub Photography who is so kind and super talented. We got some great lighting that night. A huge thanks to the Abbotsford Tulip Festival for having us. 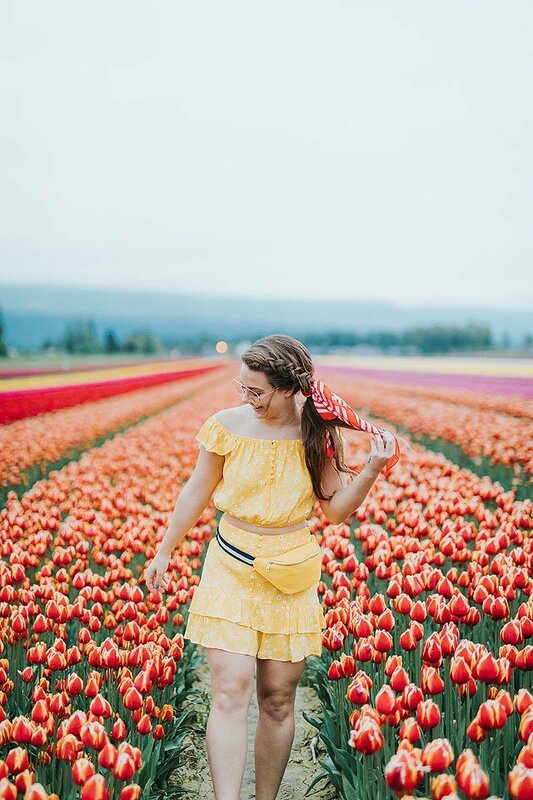 The Abbotsford Tulip Festival has flowers that you can pick plus a field just for walking though and taking pictures. Perfect for the Instagrammer! Check out my post from last year HERE and the year before HERE. Now on to the second tulip festival! Not only do I live in a beautiful place, but I am so lucky to have places like this to celebrate the seasons. No need to fly to Europe! These photos are by Madsion Joy Company … who is one of favorite humans ever. We have been getting up at crazy hours to shoot and drink coffee. 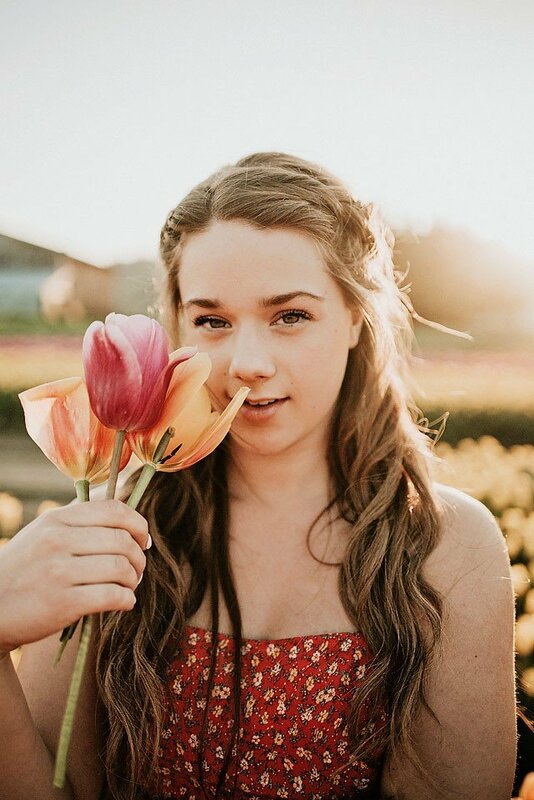 We woke up at sunrise to get these beauty images at the Tulips of the Valley in Chilliwack. 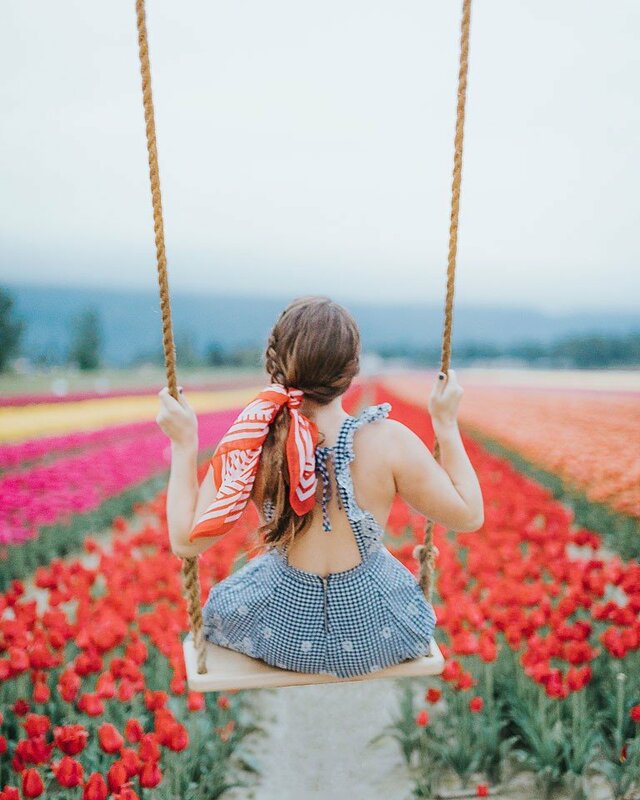 Here they have the absolute CUTEST swing by the tulips…this is a must have shot for Instagram!! 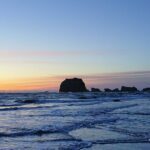 Thanks for following along with my blog!